I teach Eden Energy Medicine (EEM) for beginners and also see clients for individual sessions at home. 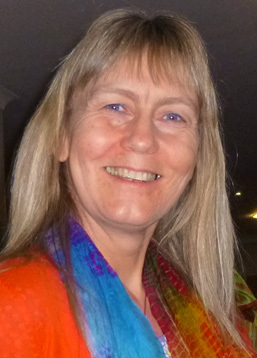 I am an Eden Energy Medicine Clinical Practitioner and an authorised EM101/102 teacher. Inspired by Donna Eden, the founder of Eden Energy Medicine, who figured out how to direct her own energies to heal herself of multiple sclerosis, I trained on the first European EEM course and used Energy Medicine techniques to regain my stamina and vitality after many years of CFS. I have also found EEM has helped me to keep hormonal balance (and my sanity!) during the menopause, reduce my stress levels on an everyday basis and bring joy and hope of a bright future to my life. I love empowering people to tune into their own subtle, healing energies and bring balance to them with EEM techniques, both in individual sessions and through teaching groups of beginners in EM101/102. Energy Medicine is a way of promoting balance and flow in the body’s electromagnetic and subtle energies to enhance health and well-being. I see clients for private sessions where I assess the flow of energy through specific areas of the body and identify the energy techniques that might be most beneficial for each client. The energy assessment is where I apply light pressure to an outstretched arm, while touching another area of the body. This leads to highly individualised treatments for each person followed up with self-care techniques that can be done at home. I also teach Eden Energy Medicine for beginners and would encourage everyone to come and learn Donna Eden’s Daily Energy Routine and techniques to calm the stress response. Learn these techniques and you will have fantastic tools to use for the rest of your life! The techniques are simple but so powerful, especially when done regularly, and can be done anywhere! They build positive habits in your energy field, organising your energy so you can have better health and vitality, clarity of mind, increased resiliency to stress, boosted and restored energy, a stronger immune system and be well grounded. I encourage all my individual clients to do the Daily Energy Routine as when their energy systems are organised, it increases the benefit of a session.